In the last few years more and more brands are bringing out Advent Calendars (The Body Shop and Benefit are ones that I've lusted after). 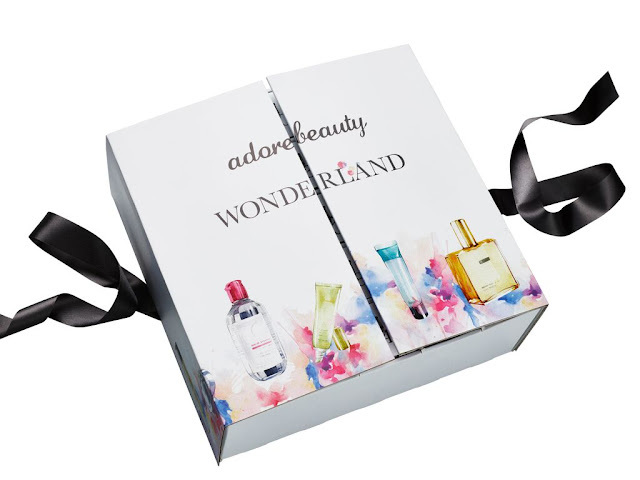 And this year Adore Beauty are releasing their own!! 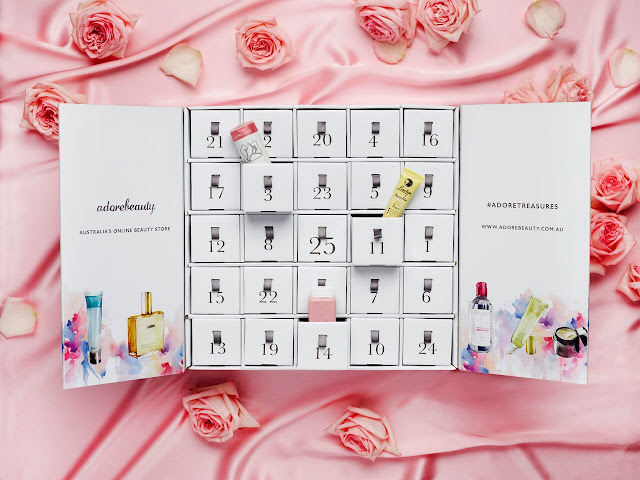 Adore Beauty's advent calendar is unlike Benefit's and TBS because they have many brands available. While I can't tell you what's in it, I can say that there's a mix of salon, luxury and pharmacy brands. There are 20 different brands that are in the advent calendar. Some of them include Nuxe, Bioderma, Kevin Murphy, Lanolips, Lancome and Benefit. There's a mix of full size and samples. It contains $369 worth of products and retails for $199. It's currently available, but get in soon as they'll sell quickly. While the calendar is a bit out of my price range, I'm lusting after this Laura Mercier eye palette. Remember to sign up to Adore Beauty's news letter as it keeps you up to date on any GWP deals and sales. This week members receive a free Kora Organics Balancing Rose Mist when you spend $79 more more. Go to their promotions page to get this weeks code. Are you the type of person to open the calendar as soon as you get it or will you be good and open one each day? This looks awesome! I wish more companies bring out advent calendars. I think I'll stick with the Freddo frogs ones lol. I really, really, really, really want it! Sadly, it's out of my price range, standing at $200! I love the idea, but it's just too expensive (especially as i already have heaps of samples!). The mecca beauty loop starts tomorrow- i think i'll shop that and get the beauty loop box instead. I have always wanted one of these and its like a third of what I earn a week, but I think I might splurge.